Brett Kavanaugh, Donald Trump's choice to fill a crucial Supreme Court vacancy, is a conservative appellate court judge who has staunchly defended the executive power of the presidency and describes himself as a strict adherent to the US Constitution. The huge stakes and fierce passions aroused by the lifetime appointment were on display Tuesday as shouts of protests and Democratic demands for a postponement greeted the start of his Senate confirmation hearing. If confirmed as the Supreme Court's ninth justice, he is likely to tilt an already conservative high court even more reliably to the right. Under intense scrutiny are his decisions over the past 11 years as a judge on the US Court of Appeals in Washington, as well as his previous roles as a legal adviser to former president George W. Bush and a participant in a special counsel probe that led to the impeachment of former president Bill Clinton. Democrats have protested the White House's withholding of 100,000 pages of documents related to his years in the Bush White House. Republicans counter that they have already received more than 400,000 pages of Kavanaugh-related documents. "There is no one in America more qualified for this position and no one more deserving," Trump said in announcing his nomination at the White House. "Justice Kennedy devoted his career to securing liberty. I am deeply honored to be nominated to fill his seat on the Supreme Court," Kavanaugh said as Trump announced his nomination at the White House July 9. "My judicial philosophy is straightforward. A judge must be independent and must interpret the law, not make the law," he said. A Yale University graduate, in the 1990s he led an investigation into the suicide of Bill Clinton aide Vince Foster, who was linked to the Whitewater controversy that began as a probe into the presidential couple's real estate investments. Later he was part of George Bush's legal team in working on the 2000 Florida recount, which resulted in Bush winning the presidency. But Kavanaugh's nomination languished for three years, as Democrats fumed over his participation in Bush's recount team. He was eventually confirmed in 2006. He recently voiced disagreement with a court decision allowing a teenage unauthorized immigrant to get an abortion. While Kavanaugh's record has antagonized conservatives at times, his position on executive authority may have endeared him to Trump. With the president facing a sweeping investigation by Special Counsel Robert Mueller, it may have appealed to him to nominate a justice who has argued that the commander in chief should be shielded from criminal prosecution while in office. In the Minnesota Law Review, Kavanaugh argued that while the nation requires a check against "a bad-behaving or law-breaking president," that check is provided only by the US Constitution. 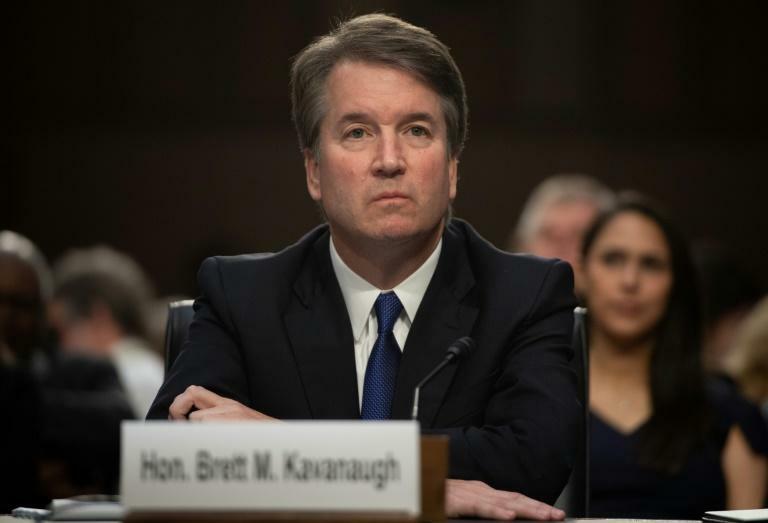 "If the President does something dastardly, the impeachment process is available," Kavanaugh wrote. "No single prosecutor, judge, or jury should be able to accomplish what the Constitution assigns to the Congress."